The Organisation of Eastern Caribbean States will this week launch a Public Education Forum Series to dialogue with the people of the OECS on key topics impacting the future of the region. The Series dubbed Vini Kozé – Kweyol for ‘come chat’ – is part of the public education component of the OECS Regional Integration Programme. The Public Education component is aimed at educating and informing the populace of the OECS on the social, economic and political benefits of Regional Integration. It is essential to ensuring citizen engagement and active participation in the Regional Integration process. The forum provides an opportunity for key decision makers, civil society, and experts within respective fields to discuss and debate issues raised by the live audience on the achievements, development opportunities and challenges facing the region. The first Public Education Forum will be held on Friday, January 13th, 2017 at the new Tortola Pier Park in the British Virgin Islands. It will focus on the Education sector under the theme “Creating Tomorrow’s Leaders Today.” The BVI Forum will be led by a panel comprising BVI Education Minister – Hon. Myron Walwyn and CXC Registrar – Glenroy Cumberbatch. The panel will also include a representative of the private sector, a community activist, and a civil society representative. The Forum will involve a ‘live’ audience who will be invited to participate and pose questions to the panel. There will also be key resource persons in the audience who will broaden the scope of the discussion, and answer questions relevant to their area of expertise and experience. The OECS Member States have embraced the concept of ‘skills for inclusive growth’ with education as one of the drivers of economic growth, individual empowerment and social cohesion in the region. 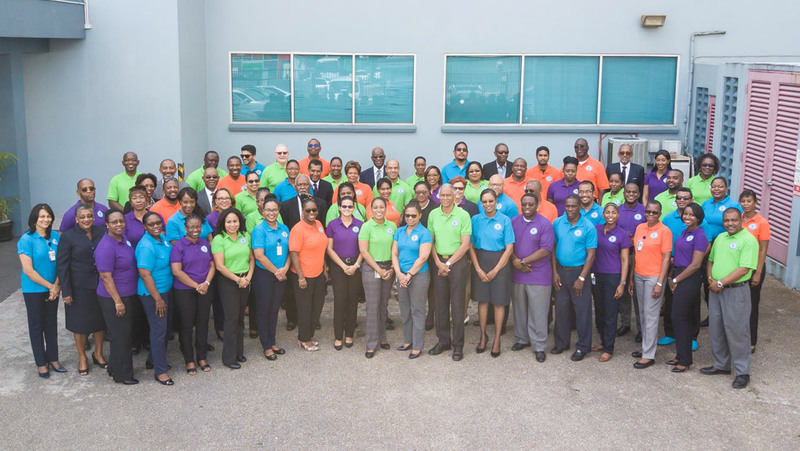 Approximately 70 persons from across the OECS, including students and professionals in the education sector, are expected to attend and participate in the BVI Forum which will highlight successes in education in the OECS, while creating greater awareness of deficiencies, with a view to formulating strategies and solutions that can be applied across the Member States. The OECS Public Education Forum Series (PEFS) will run until March 2017. It will be staged across six (6) OECS Member States including The BVI, Anguilla, Dominica, Grenada, St. Vincent and the Grenadines, and Martinique. Citizens will be engaged on topics such as Youth, Education, Climate Change, Agriculture, Economic Growth, and Regional Integration. The views, opinions, and aspirations of the people will be canvassed in shaping the future of the OECS in relation to these key areas of development. Vini Koze will be televised across OECS Member States, the wider Caribbean, and the Diaspora. The series is funded by the European Union through its 10th EDF programme on Economic Integration and Trade of the OECS region. It is being produced by ELShaFord Productions on behalf of the OECS Commission.